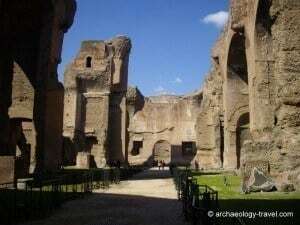 The Baths of Caracalla, built for Emperor Caracalla between 211 and 216 AD, were the second of larger Imperial bath houses of Rome (following the baths of Trajan – opposite the Colosseum). The size of these baths is still captivating. The platform on which the baths were built covers an area of 100,000 metres square. Estimates suggest that for the five year period, 9,000 people were employed each day. When completed, the baths accommodated somewhere in the region of 10,000 people at once. The baths continued to be used as such until the sixth century. 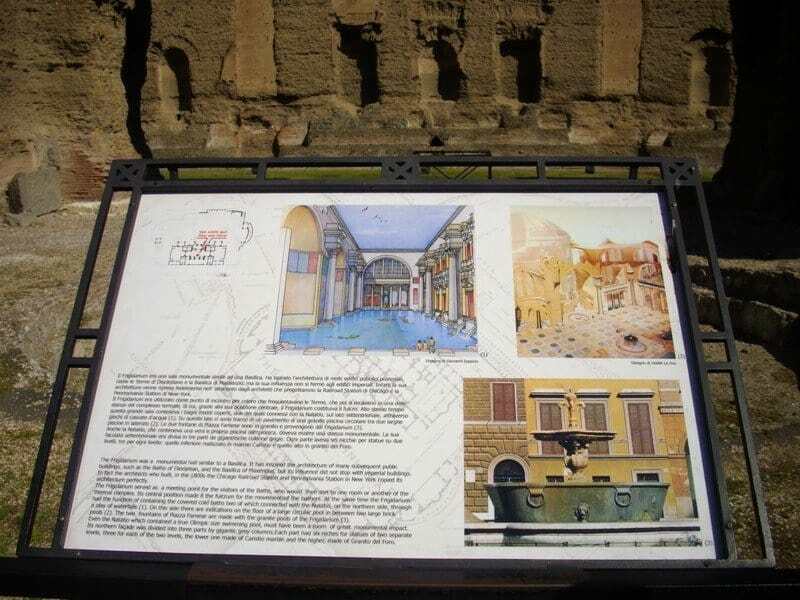 Repairs were made to the Baths towards the beginning of the fourth century, and they continued in use until well into the sixth century, soon after the Goths cut off the water supply to Rome. Thereafter, as with many of the Roman sites, the baths fell into disrepair and became a source of materials for Middle Ages builders. 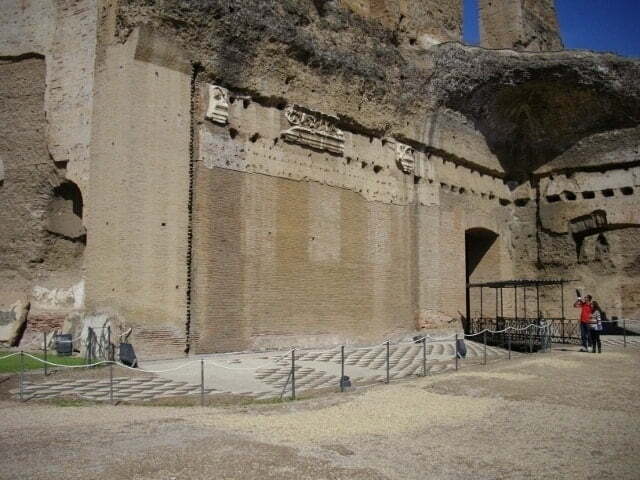 Where is the Baths of Caracalla? 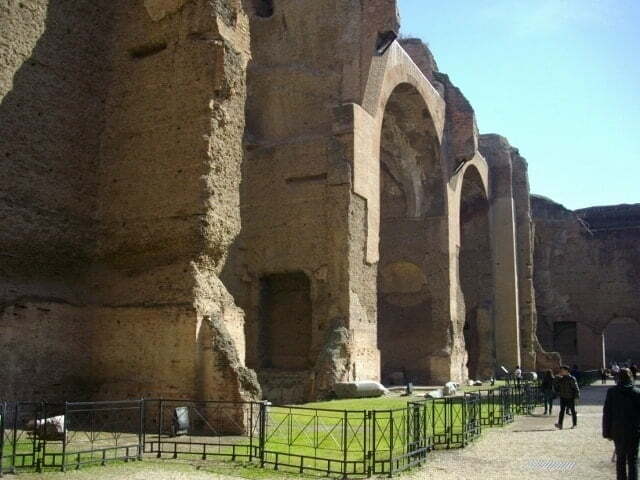 A brisk 30 minute walk from the Colosseum, passing by the Circus Maximus. 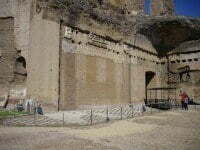 Opposite the south east end of the Circus Maximus, is the Capena Gate – this Marked the start of the Via Appia – the oldest and most prestigious of all the Roman roads. 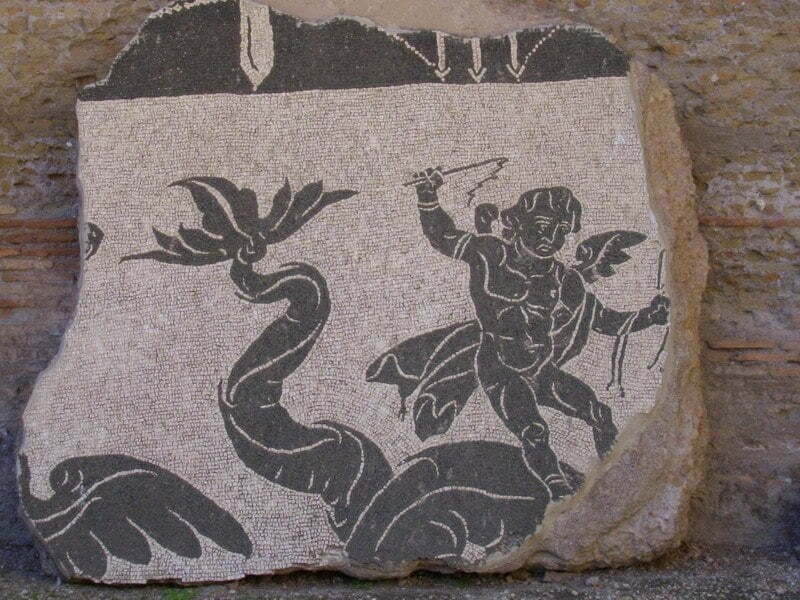 The baths are a short walk down the Via Appia. 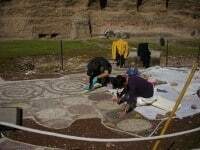 They were not built on the Via Appia because by 200 AD the road frontage would have been been full – so the baths were built on a parallel road. That they were built on the outskirts of Rome is the reason why they are so well preserved – no one built anything on top of them. The Baths of Caracalla participates in the Roma Pass scheme, read more about the pass and how to make the most of it … click here. For a detailed guidebook to Rome, that has an extensive accunt of the baths, see Amanda Claridge’s Oxford Archaeological Guide to Rome. During the summer, the baths are used as a backdrop to open air concerts. Tiered seats and a stage are erected in what was the gardens to the side of the main building. This is a tradition started by Mussolini in the 1930s. 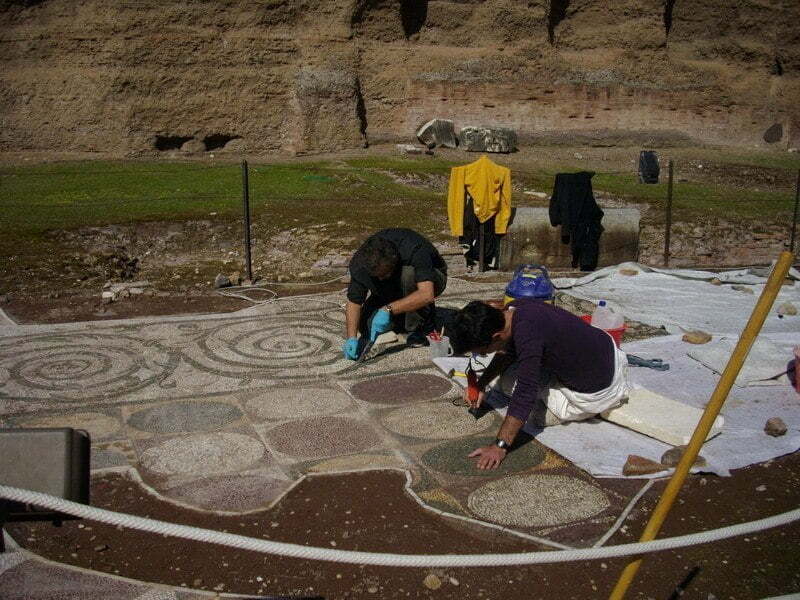 A part a mosaic floor that depicts athletes is now in the Vatican Museums. During the Middle Ages the Baths were used as a source of marble and other materials. Pope Paul III (1534 – 1549) removed all the columns and and the larger statuary, including the colossal statue of Hercules (known as the Farnese Hercules) and the marble statue group known as the Farnese Bull. These pieces were used in the construction of the Farnese Palace. The Hercules and Bull group are now in the Naples Archaeological Museum. 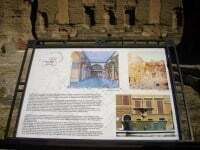 Why not share your experiences of visiting the Baths of Caracalla, leave a comment below. If you have found this entry interesting or helpful, please share it using the social media buttons below.